There are legends and stories of huge bushmen that abound around the world. In North America there is the Sasquatch or Big Foot, Asia has the Yeti, and Australia the Yowie. And while they are geographically separated, in some case by vast distances and oceans, their descriptions are always somewhat similar. New Zealand has its own wild bushman of legend; the Moehau Man. Known mostly from stories originating around the Coromandel area in the North Island, the creature is known as Moehau Man, after the range of mountains many sightings come from. Other Moehau-type creatures are also reported to have been found around Mount Tongariro, Kaikoura Mountains, Ruapehu, the Karangahake Gorge, Urewera Ranges, Fiordland National Park and in the area around the Haast River. The Moehau (also called the Maeroero) is reputed to be a large, hairy hominid cryptid living in the Coromandel-Moehau ranges near the top of the North Island. It may be synonymous with the Maero, (as some Maori have suggested), another New Zealand cryptid. Both have been reported as having long, sharp fingers and like the tall, hairy beasts from other continents. The Moehau is a large, extremely hairy hominid with arms reaching down to around his knees and with a distinct odour. In Māori tradition, the Moehau are wild, violent men with long, bony fingers and long, dirty hair. They killed their prey with long, sharp fingernails and then ate them. Another explanation for the Moehau is that it was an exaggerated report of an escaped gorilla. Two main sightings of Moehau Man from the last 40 years are documented by Nicola McCloy in her book: New Zealand Mysteries: secrets, spooks, conspiracies and con artists (Whitcoulls, 2005). In the first, an Australian tourist reported seeing the creature as she bush walked in the region in 1969. She described it as being much like a gorilla. The stories of the Moehau started circulating once settlers began making their way deeper into the Coromandel countryside. Firstly in the 1870’s and 1880’s these were the gold miners, looking for a place to stake their claims. They made their way in from the area to the townships of Thames and Waihi, and it wasn’t long before stories of the large, vicious bushman started doing the rounds. Firstly they reported being scared by large human-like creatures deep in the bush; then more ominous tales began to emerge, those of prospectors being killed and mauled by Moehau Man. Even the local Maori told prospectors not to enter the dark bush alone. However, in 1970, County Councillor J. Reddy told Robyn Gosset that the Hairy Moehau was an exaggeration started from a joke. Also in 1970, Bob Grey told researcher Robyn Gosset that the term “Moehau Monster” came from a name given to a Yankee steam hauler that was utilized for logging. In New Zealand Mysteries by Nicola McCloy, the author discredits both theories by citing several Moehau sightings during the early 19th century. The name Moehau, is the Maori name for the highest peak in the mountain range at the tip of the Coromandel Peninsula. Most Maori legends spring from Geological features of the landscape. This peak is a sacred place to the Maori, is the traditional burial-place of a great canoe captain and to be feared, as mythical creatures live here. The mountain range is visible from a wide panorama in this are of New Zealand, and gives rare visitors a commanding view of the surrounding area. 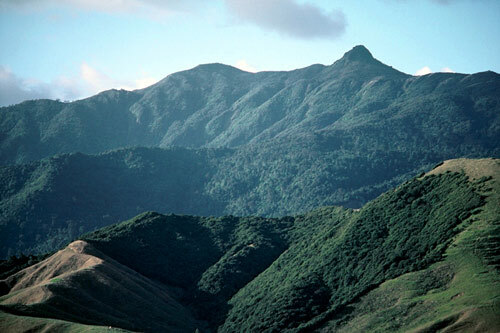 Mount Moehau, the largest peak in the Moehau range, stands at the tip of the peninsula – a place very sacred to the Maori. In a story from the Whanganui area, Tukoio, a mortal man, once found a Moehau and attacked it, cutting off its arms, legs and head. He brought the head back, but it was still alive and called for help. Tukoio did not want to fight a whole clan of Moehau, so he dropped it and came back later with reinforcements, but the Moehau had put itself back together and returned to the forest. In 1972 a sighting was made by two pig hunters, who said they saw a large creature approximately 150m away from them. When they reached the place the animal had been, all they found were huge human-type footprints 35cm long. In 1983 a group of seven of these primitive people were seen by two trampers, in the vicinity of Lake Waikaremoana. These beings consisted, said the two men, of three juvenile females, a juvenile male, two five foot tall adult females and one adult male of about six feet high. The hominids were dressed in animal hides, probably cow, and they were watched from behind foliage 15 metres or so above a gully as they worked their way along the edge of a rocky creek. The sighting lasted several minutes. As New Zealand was isolated from the rest of the world, and no other wild beasts from other countries are common, then how come this creature has been unseen for so long? One possible explanation has it that, before the time of quarantine and controlled animal and vegetation imports, a gorilla or large monkey could have perhaps escaped the confines of a visiting ship. And while it could be a viable explanation, it doesn’t explain the legends and stories much prior to European visitation, nor the time expanse of the sighting reports. Either it was an incredibly long-lived ape, or there must be have been enough escapees to form a colony. Some have heard of a cave full of strange skeletons, some locals claim to have seen it. The story goes, that in one cave there are skeletons of small men with red hair and another cave with giant skeletons over seven feet tall (2.15 metres). Another entertained possible explanation is that the Moehau Man is just a story, and the sightings mere mistaken identity. There is not a lot of verifiable information out there, nor has a skeleton or skin ever been recorded as having been found, as far as anyone is aware. But that doesn’t explain the reports of large hominind footprints… unless they are hoaxes. But would anyone bother or dare to travel into the thick Coromandel bush to randomly plant false footprints in the hopes that someone would “Stumble” across them unless they were the instigators? Though until we have some definitive proof, for now Moehau remains just a story. The Maori have their own tales of Moehau and the Maero. These savage hairy people of the woods had long bony fingers and speared their prey with jagged nails. They ate their food raw, like the fairy creature called Patupaiarehe. But unlike this fairy creature, the Maero were often solitary beings. The Maero were greatly feared. They kidnapped men and women and would fight to the death. They inhabited the great forests in the rugged interior of Taranaki and Whanganui, to which they had retreated to when humans arrived and desecrated their homes. The Maero would spear fish with its long nails and on occasions could be heard playing music. Sometimes people who were fishing or cutting flax would hear a warning voice saying that they had taken too much and must leave some for the Maero. Another name for these wild men is Mohoao. 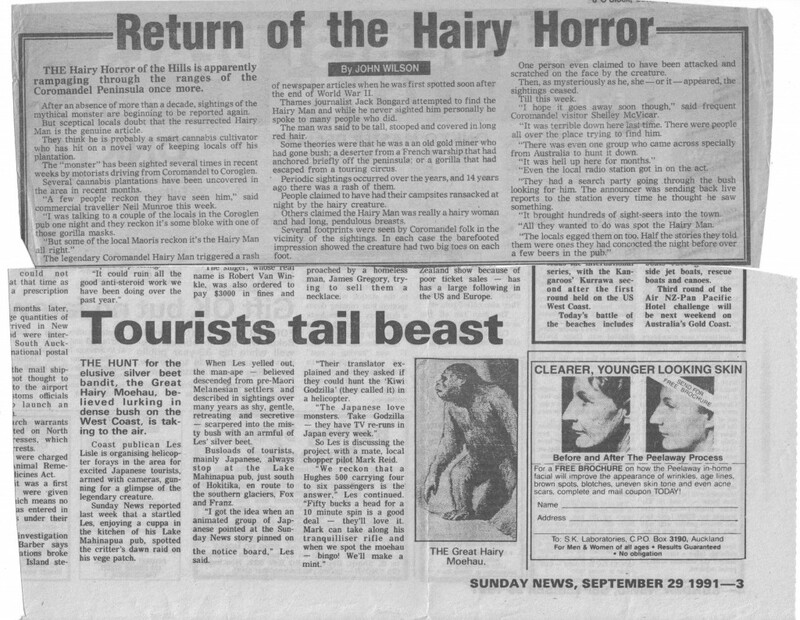 The following article is an article that was published in a New Zealand newspaper of a reported sighting of a strange hairy man similar to a Yeti or Big Foot. The Taranaki Daily News, Tuesday, 5 February 1952. Persistent reports from Coromandel Peninsula say that a strange hairy creature thought by some to be a gorilla lurks at the back of the Waiaro, in the wild bush country of the Moehau Range. 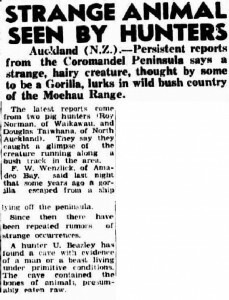 When Dr. Roy Norman of Waikawau, and Mr. Douglas Taiwahana of North Auckland, were pig hunting in the area, they said they caught a fleeting glimpse of a hairy man or possible a gorilla running along a bush track. Mr. F. W. Wenzlick of Amadeo Bay, said tonight that about 30 years ago a ship was lying off Waiaro which had a young gorilla as mascot. The animal left the ship and got ashore. Since then there have been repeated rumors of strange occurrences in the hills. 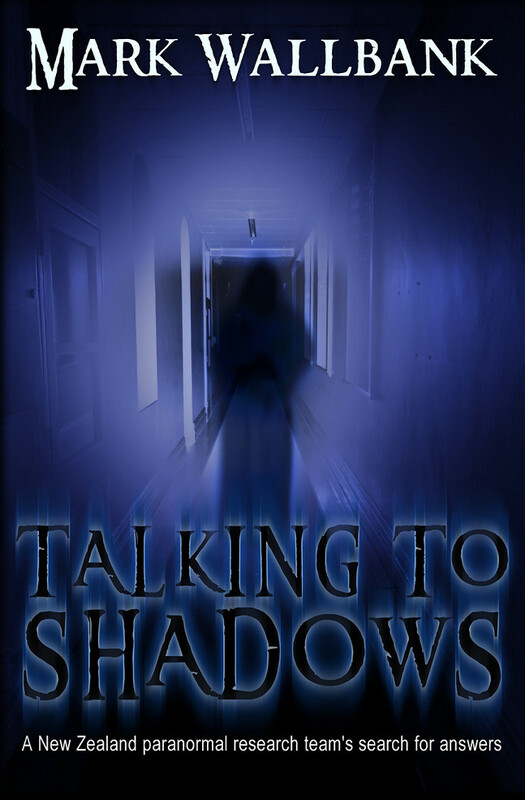 Stories deal with night intrusions into camps, dogs bristling and snarling because of a strange presence and mysterious foot-falls in the bush. A hunter, Mr. H. Beazley has found a cave with evidence of a man or beast living under primitive conditions which contained bones of animals presumably eaten raw and collections of shells. It was possible but highly improbably that the “strange hairy being” believe to be lurking in the Moehau Ranges was a gorilla or in fact any species of the ape family, the director, R. W. Roach of the Auckland zoo said tonight. If the strange creature did exist it was more probably a member of the baboon family. He would regard the story as more feasible if someone had discovered footmarks or nest in the tree-tops very much larger than that made by any known bird. Mr. Roach completely discounted any suggestions that the cave that had been discovered by Beazley was likely to have been the home of the creature. All members of the monkey families lived in nests built in the tree tops although they spent most of their time on the ground, he said. The Wenzlick boys (the sons of Gregor and Maria Wenzlick) of the Thames Coast were known to be great story tellers, especially to guests in the bar of the Royal Oak Hotel in Tapu. It must be remembered at the time, a lot of gold prospectors were roaming the hills in search of the next big find, and food – that being the wild boar pigs. There is a theory that the “sighting” of the Moehau Man was fabricated to try to dissuade people from entering private property and the discovery of illegal liquor distilleries in the bush. Unfortunately, none of this generation is alive to tell or confirm such action. An article in a local New Zealand newspaper told about a proposed Australian expedition to find the ‘Moehau Monster’. Apparently the tour leader, J.P. Grey, managing director of a large wholesale business, collected together a team of 40 to search for the monster. It had been described as seven feet tall covered with silver-white hair and with large, pink, vacant eyes. Its body was said to be ape-like, with long dangling arms and short thin legs, and it emitted a growl which could be heard over a long distance. J.P. Grey quoted Mrs Vera Marshall of Sydney, who claimed to have come face to face with the monster on a bush track when she and her husband were on holiday in New Zealand at the beginning of October 1969. She described the monster as a gorilla-like creature which took off into the bush when it saw them and this added to the theory that the monster was a gorilla that escaped from a ship off the Coromandel Peninsula about 60 years ago. But could a gorilla adapt and survive in New Zealand bush for that long? Also on Grey’s agenda were the little red-haired men said to have fled to the hills with the arrival of the first Maori. These were the fairy folk of the Maori, whether they be named turehu, patupaiarehe or korokorako and were described as fair-skinned with red hair. Then in April 1970 Mr J. Reddy, a well-known Coromandel identity, stated that the monster was a complete fabrication. But some people were not convinced. 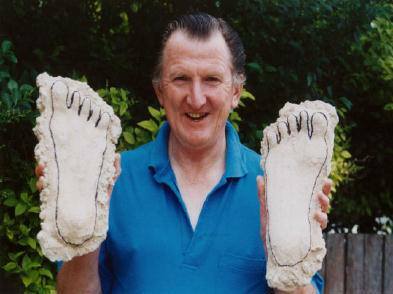 Rex Gilroy, an Australian Yowie expert, travelled to New Zealand in 2001 – intrigued by the information gathered about the Moehau. 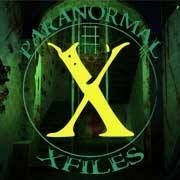 This investigation, part of the ongoing “Operation Yowie” project, aimed at gathering good circumstantial, as well as possible physical evidence, on the existence of these relict hominids. Gilroy and his wife found three fossil hominid footprints in the Karangahake Gorge, enough information to convince them there is indeed something to the Moehau Man stories. On a remote forest track in the Urewera National Park, on the east coast of North Island, they uncovered a number of faded tracks in a patch of soil, which led them a few yards away, to discover two that were clearly visible and worth casting. These left and right foot impressions measured 29.5cm in length by 13cm width across the toes, 10cm width at mid-foot and 7.5cm width across the heel, making the owner about 5ft 6 inches [about 1.68m to 1.83m] in height. Read more here on Rex Gilroy’s expeditions. 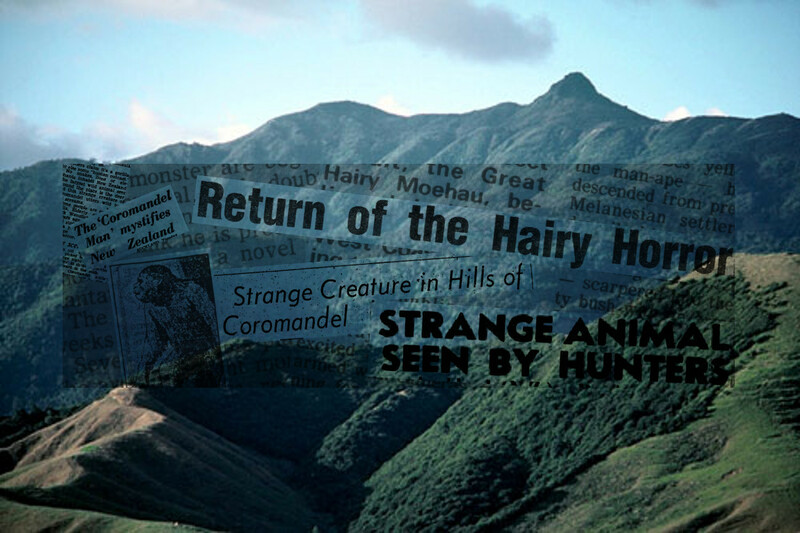 ”In April I arrive to commence a month-long, self-funded field investigation in both the North and South islands to follow up recent sighting claims of the Moehau, the hairy man-like creatures of Maori tradition and early European settlers’ tales, particularly in the Fiordland area, where fresh tracks and sightings have been reported in recent years”. Mr Gilroy was not new to monster hunting. In 1976, he featured as a self-appointed Yowie expert. 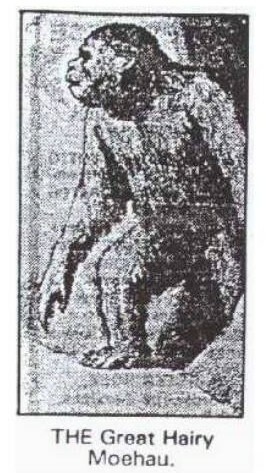 The Yowie being a hairy monster similar to the Coromandel monster and was reported to roam the eastern states of Australia. In October, a $200,000 reward was up for the capture of a Yowie after a dam worker had been confronted with one. In the 1920s, J.Beattie collected stories and legends from the people of Southland. During his conversations with local Maori, they said the Maeroero was still alive and well in the bush. 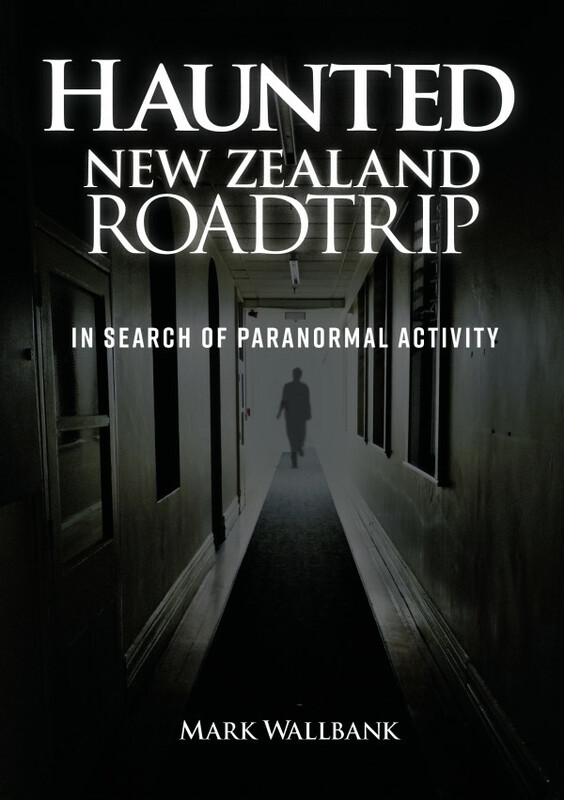 In 2013, Haunted Auckland visited the Coromandel Ranges to conduct a brief expedition of some of the area. Making their way through the vast terrain to reach a few of the surrounding summits but cutting the search short due to heavy storms making the expedition too dangerous to continue on with. An earlier trip into the Coromandel Ranges to search for evidence was in 1998. The aim is to return for more lengthy and detailed research within the Coromandel Ranges and Ureweras, in the coming years. So, is there any truth to the stories? Perhaps the Moehau existed in the past, but no longer today? Could it have been just a misidentified escaped gorilla? Those that have seen it don’t thing so. Hey Jason I have a similar interest in the subject and also learned of places in New Zealand where they are still supposed to be prominent. Most of these localities are in the mountain ranges of the South Island. Puke-Maeroero otherwise known as The Southern Alps is named “hills of the hairy man” after such encounters by the Maori. There are many places down further in the South island also. Moehau mountain is where I first heard of the legend, however the amount of bush on the Coromandel peninsula is quite small when compared to the likes of the Urewera ranges and so forth. There needs to be more research and field work done on this in New Zealand. Rex Gilroy has been to New Zealand and cast many plaster cats of prints, some were fresh coming from deep in the Urewera ranges. Other prints proved to be very old, he also found large human-like tools too big and heavy for modern man to use. Anyone who is doing research or firld expeditions in this subject I would also be keen to know and participate. To Jason & other New Zealanders, there is a man here in America that has been investigating vanishings of folk in our national parks & forests & the federal government has been covering it up. He is David Paulides & a lot of radio show interviews of him are on you tube & he also has his own website. He has written 4 volumes of the same book “Missing 411” & now a documentary movie named the same. David found out that what is now America’s national parks & forests were lands that he native Indians never lived in or even went in to & the same with early colonist & settlers. Also the state of Kentucky was an area the Indians would visit there but never no permanent settlements. Kentucky has a lot of cryptid activity. The west coast from California up into B.C. Canada is quite active & the cryptids are more aggressive & violent. The southwest in addition to bigfoot/sasquatch, there is “dogman, mothman & a lot of ufo/alien activity, especially Nevada. I assume that the Polynesian Morai had areas in New Zealand they never lived or went into & maybe lands that they visited only, the same as the American Indian? I also believe the aboriginies of Australia had lands the same of never or only temporarly visiting? I know the Aborigonies said they had to battle them when they came to Australia & never would travel at night & always built a fire at night & stayed near the fire. Also the Bible & ancient Hebrews knew of these creatures. It is mentioned the tame & wild beasts & something the “evil beasts” & a warning given to Moses about them killing children, livestock & reducing the population greatly in Leviticus 26:22. Also the mention of a man killing a lion & 2 “lion-like” men, the lionmen of Moab. In addition to evil beasts, there is the words nephillim & strange flesh & dna of bigfoot in America & canada shows animal/human dna & alien dna which is “fallen-angel’ dna. BTW the occultist/satanist/luciferians all know about these cryptid creatures & see them as allies to them. Some Christians & Jews & usually both that believe are conservative & devout. However many atheist do not believe in them or they do without any almighty God aspect connected to them. I have personally encountered on one occasion size 20+ footprints while tramping up Mt Taranaki after my daughter screamed claiming something black ran across a river and on another occasion in the same location 2 pale skinned, blonde haired, black eyed, short and thin humanoid creatures that followed me while running then warned me to leave via telekinesis. This was sometime ago but my daughter still remembers the black beast even though she would rather not and the 2 humanoids still send shivers up my spine. I once explained these encounters to a Taranaki regional council worker. He replied….”how long ago?, there are strange things up that mountain that cant be explained”. I also had a friend that discovered giant femur bones in a cave up mount Taranaki while rock climbing. Stryker – can you give the exact location of where your sightings occurred? I definitely wouldn’t be surprised if there was a local relic homonid variant. I’ve always been quite interested in this sort of thing and have recently came across a podcast called Sasquatch Chronicles that has absloutely convinced me that these things are real and exist world wide. This guy just interviews witnesses – after having an encounter of his own he started it up as kind of therapy for himself and his guests. Having listened to maybe 20 shows I have no doubt that these witnesses are sincere, and are encountering a broad spectrum of different creatures of different size, temperament and state of evolution – if you believe in that. 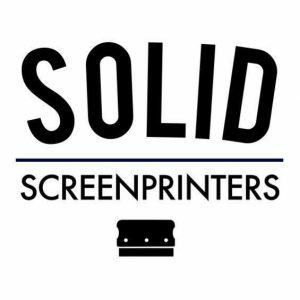 I’m glad I stumbled across this site! The Bible mentions the tame & wild beasts & then some thing called the “evil beasts” & a warning is given to Moses about them killing children, livestock & greatly reduceing the population in Lev. 26:22. Also the Bible talks about a Hebrew man killing a lion & 2 “lion-like men” (lionmen of Moab) Yes the ancient Hebrews/Jews of ancient Isreal knew about cryptid creatures. Today in modern Isreal there is ufo/alien & cryptid activity going on in the Holyland. Also in addition to evil beasts, strnge flesh & Nephillim are other terms describing these cryptids in ancient Isreal over 2000 years ago. I grew up in Taranaki and remember a story my brother came home with, after hunting goats in Ureti, on a mates family farm. The farm was more of a hunting block and only used on weekends. His said they were really deep in the bush and heard tree knocking and came across foot prints along the side of a creek. all he said about it was that it was weird someone was in the bush with bare feet so far in..
2 years later, I re-found this site and thought I’d better add another 2 cents.. I’m from the ‘Naki BTW. Interesting account of the two, pale humanoids. Maori legend has a white/pale humanoid called patupaiarehe, wonder if it was them?. Anyway, only in America, there are thousands of sightings/encounters with these thin, white humanoids exactly as you described. Apparently they get around a lot on all fours but can move equally well bipedally too. The native American/first nations people have legends of wendigo or in the south-west, the natives call ’em ‘skinwalkers’. Though according to my research, skinwalkers are bad medicine men who have to do some heinous stuff to acquire their powers..
Non-natives call ’em ‘crawlers’ I believe. A creepy-pasta story was built on these things and it was called ‘The Rake’.. If you ever research these ‘crawlers’ or ‘rake’ things, I’d be most interested if the drawings/descriptions matched what you saw?. Some accounts have ’em communicating telepathically with humans, though not so much in words, but overwhelming feelings-usually extreme terror/get the hell outta here.. Cheers mate for writing out your encounter. The nay-sayers scoff, until they have their own encounters..
Another ‘Naki boy here. My great-uncle farmed the hills of Ureti, strange goings-on there alright mate.